In the week and a bit since B.K.S. Iyengar died, this has become my new favorite quote. And as each day passes, I am more grateful to him for setting such a good example of a happy life and a majestic death. Yes, he could glower. Yes, he yelled in class. But he was not an angry man. He was impish. He took on his role as the traditional tough-love Indian teacher and played it to the hilt, impatient, frustrated by his students’ inability to grasp immediately what he taught. “After class, your homework is to understand why the student is not getting the asana. You have to reflect on their problems. Think and re-think. And then work on your own. This way you will find that the students improve as the quality of your practice in teaching improves. He lived his own advice, endlessly, inventively finding new ways to transmit understanding. He created a body of work that was never static because he was always teaching new actions, new meditative pathways, new adaptations to take us so deeply into the poses that we would be able to connect to our true selves. I have, by the way, my own picture of Guruji glowering, but remember, this is a man interrupted at his work by an unknown student looking for a souvenir photo – and he didn’t say no. The longer he lived, the happier he seemed to be. Death might be the ultimate opportunity to practice letting go, but Guruji also gave a much longer, more public lesson in perfecting the art of losing. Watch a video of him demonstrating his practice when he was in his prime, anywhere from 20 to 80, and you will see how able he was, what astonishing poses he could do. Then gradually he let go, not of the practice, but of the asana work that was no longer possible for him. 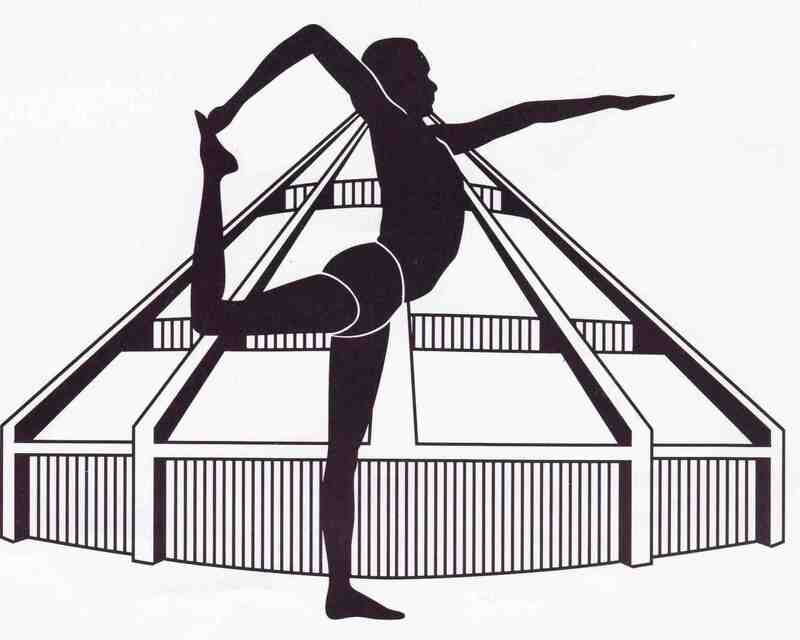 A 45-minute headstand with full variations became headstand at the wall, then headstand in the ropes, then headstand with the support of the trestler, a wooden horse used in Iyengar work. As he aged, he let go of what he could no longer do, but always did as much as he could. He never gave up, never said, “I’m too old to practice.” In his last years, he used an elevator to get to the practice room because he couldn’t manage the stairs, but he was there every day. He always practiced with his students. He never hid his losses. He continued, day by day, to do as much as he could, with humility and gratitude. I think about my own struggle with full arm balance, a pose I find both difficult and magical. I worked for so long to be able to kick up, and had a few glorious years of a reliable pose. Now it’s gone again. I had a niggling elbow injury that made weight-bearing on a straight arm undesirable, so I stopped trying to kick up, and now I can’t. Could it be that it’s time for me to quit trying? To accept that I’ll only do the full pose with a helper? Logically, there will be a last time for every pose. I have plenty of preparations I can work with, ways to practice that will keep me strong without needing to kick up. Could I let go of that pose with such grace? 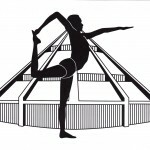 Start teaching arm balance without being able to demonstrate it? Could I be honest in saying: “this is not a pose I do any more”? If B.K.S. 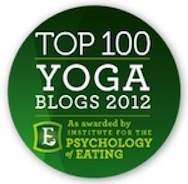 Iyengar didn’t magically escape death through the practice of yoga, then I won’t either. If age diminished his extraordinary asana practice, then it will surely diminish mine. I will always be grateful for having found Guruji’s work, this method of rigorous questioning, of growing inwardly through exploring the asanas. I suspect that as years go by I may be even more grateful for his lesson in how to consciously surrender to the reality of an aging body, while living happily, and aiming for a majestic death. Life, Happiness and the Pursuit of Liberty? 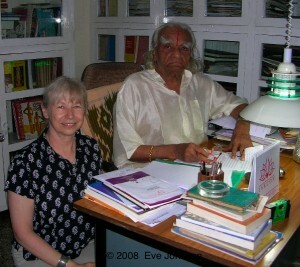 Many years ago Mr. Iyengar told us to thank God for all the students who come and thank God for all those who go away. Treat them all as your children. Ah, Donna, that is the crux of the matter, isn’t it? I guess I’ll be finding out soon. For such a famously fierce teacher, B.K.S. Iyengar did make some amazing statements about his relationship to his students, didn’t he? This is a wonderful passage you wrote. I too have experienced the letting go as my progressive lung disease has now led me to be listed on the heart/lung transplant list. I have slowly given up a vibrant practice schedule of classes and replaced it with a good at home practice that now consists mainly of a few standing poses and lots of restorative. On good days, I can do some inversions but it is tricky being hooked up to oxygen. I was pretty upset at the beginning but reading Guruji’s words always brings me back to letting go and simple gratitude for the sustained health I have had. Also, the physical therapists have told me I am the healthy person on the list right now (even hooked up to O2 and with minimal walking ability) and I do credit Iyengar yoga with this. Eternal gratitude and daily practice of letting go. Oh Lori, may your wait be short and your return to health complete. Your practice and your clarity is an inspiration. Please stay in touch. Eloquently written in the truth of life. A dedication to a true master of the art of Yoga. His end is our beginning! I noticed so strongly this time that instead of sadness followed by gratitude, when I heard the news of Guruji’s death, I felt an immediate flood of gratitude, for his work, for my good fortune in meeting him, for my good fortune in finding teachers of his work. Then there was sorrow, but mixed with celebration. Beautifully written Eve – as always. Thank you for sharing this wonderful tribute. 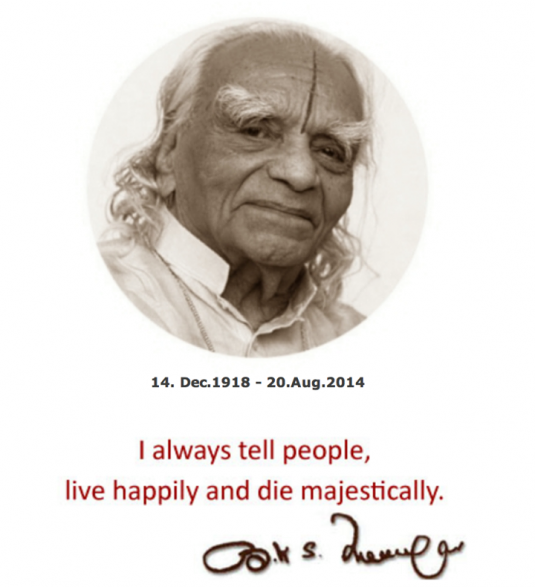 He will live on in the hearts of many many Iyengar practitioners all over the world. Ah, Meenu, thank you for that. It is a tremendous legacy, isn’t it. Do you know the end of Light on Life, where he writes, “I do hope that my ending will be your beginning”? Lovely, isn’t it? Thank you for this wonderful tribute, Eve. Guruji would appreciate it. I love your description of him as “impish”, and the “after class” quote is a lesson for any educator. Good to hear from you! Basic Guidelines for Teachers is a gem – so densely packed with good counsel. Glad you liked it. We’ll miss him, won’t we? Always good to hear from you. Well written, timely and thoughtful. Mr. Iyengar’s death rounded out the summer when 2 elders from our family also died. It’s important to talk about aging , movement, injuries and remembering to keep the edge, where ever that is now. Then to get a new puppy, who I have to take out now.